We all know the tradition of receiving gifts from Santa Claus if you've been nice. But if you've been naughty? 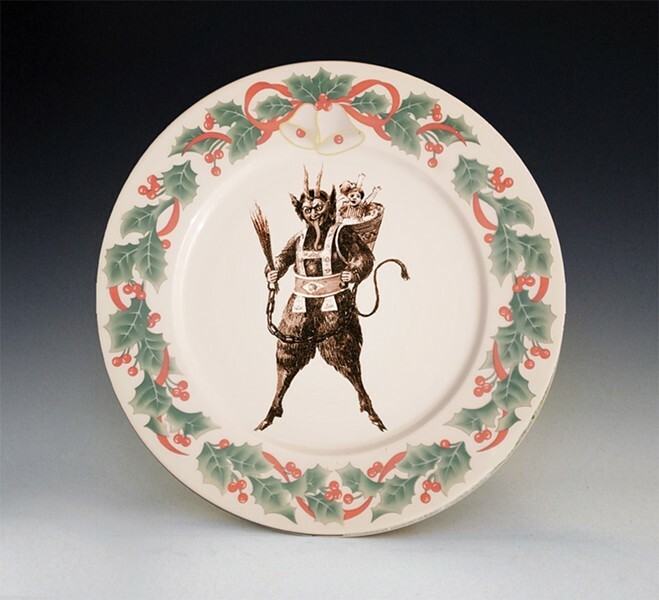 Avoid a visit from the half-goat, half-demon Krampus by visiting the Hungerford and getting back on the Nice List. More than 15 studios are participating in the two-day event, which includes photo ops with Krampus & Kringle, festive food, free raffles, and a wide variety of event-exclusive art for sale. The event will also serve as a collection spot for donation to the Pirate Toy Fund, so bring along a new, unwrapped toy to spread additional holiday cheer. "Krampus Does Hungerford" will take place on Friday, December 7, from 5 to 9 p.m.; and Saturday, December 8, from 10 a.m. to 3 p.m. at the Hungerford Building, 1115 East Main Street. This event is free to attend and family-friendly. facebook.com/fungerford.